Facebook-owned Instagram on Wednesday introduced a new update to make uploading photos and videos on its "Stories" feature faster and easier. The update will allow users to upload up to 10 multiple photos and videos as a story at once, along with a "preview" option, Instagram said in an official blog post on Tuesday. "Tap the new icon at the top right corner of your screen to begin selecting media files from your gallery. On the edit screen, you'll see a preview of all the media you've selected lined up at the bottom and your preview will upload at once in the order you selected them," the post added. 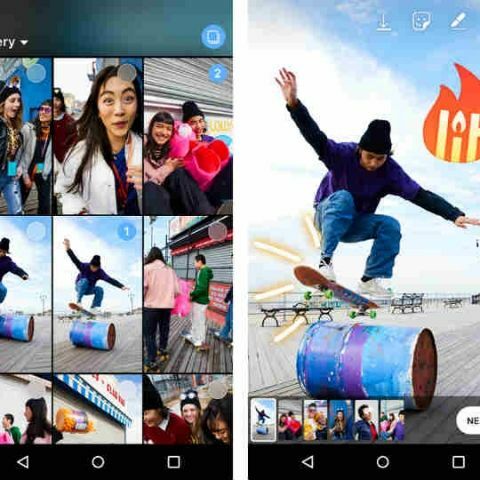 The users will be able to edit each of the multiple photos and videos individually with stickers, text and all the other creative tools, available as part of the "Instagram Stories." "With the latest update, Instagram will make it faster to find the right place when adding the location sticker to a photo or video, suggesting places from near where the media was captured," the blog post said.